Biomass assessment. 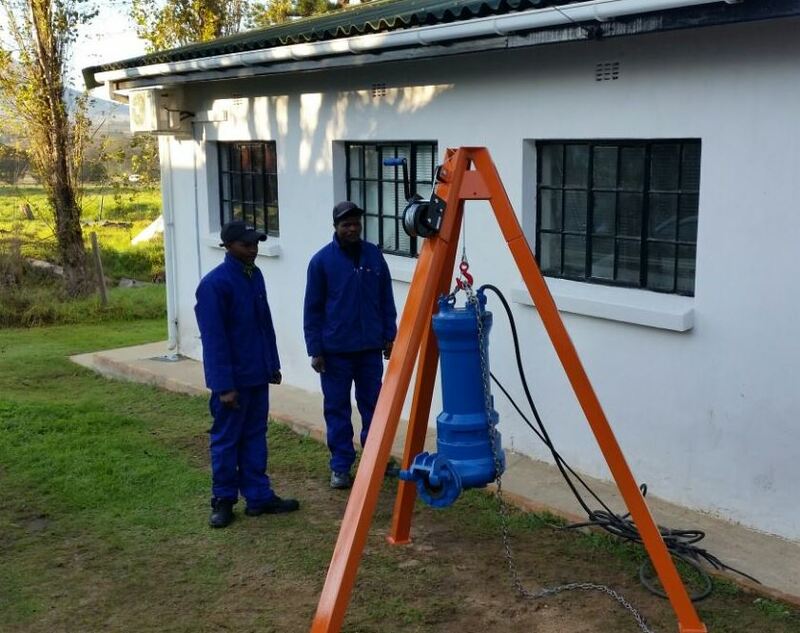 This will include settleability tests, wastage if required and on site pH measurement. Collection of treated effluent sample and delivery to an accredited laboratory for testing. Effluent sampling is not only a requisite for ISO 14001 accreditation, but is also a Department of Water Affairs and IPW requirement. Submersible pump post repairs. A messy business pulling this out of the soup, which flows everywhere when the pump is not working.